This self-indulgent trip down memory lane has been prompted by two things. It was the midsummer solstice on Friday and the Le Mans 24-hour car race took place at the weekend. 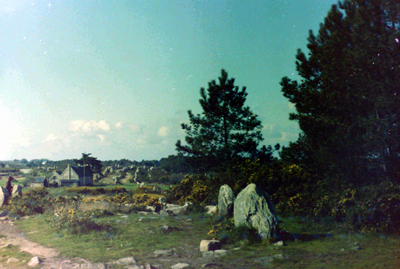 Bringing these together, here are my very faded images from an archaeology field trip to see the megaliths (“huge stones”) of Brittany (including Le Mans) in 1975. 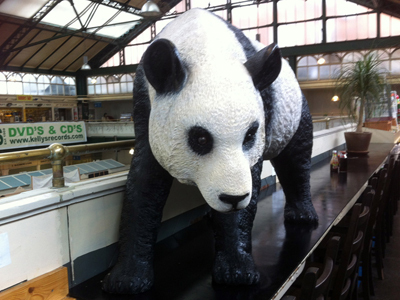 This giant panda – made of something ceramic or stony – has been upstairs in Cardiff Central Market for years. And until now, every time I passed it – several times a week – I wished I had the nerve to snap a picture of it with my iPhone. I was already musing on words beginning with chap and cheap before, by chance, an exhibition featuring the 17th century Cheapside Hoard was announced. Read about the treasures here. Cheapside is in the City of London and was the site of a Medieval produce market. At that time it was known as Westcheap, to distinguish it from Eastcheap, near London Bridge. The word “cheap” broadly means “market”. Oh dear. Pride comes before a fall! I had been planning to share some pictures I had been taking of three lovely indoor Begonias I bought at the Cardiff RHS Garden Show. 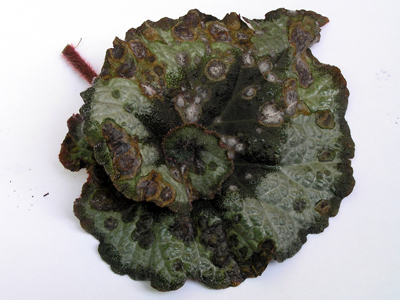 But suddenly they are all but destroyed by begonia mould!